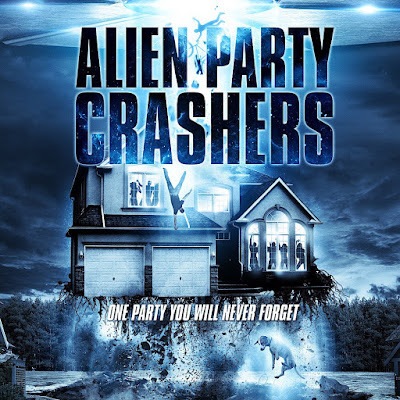 Dark forces arrive on Horror Channel in May when the UK’s most popular genre TV channel unleashes INVASION SEASON: a collection of Saturday night alien attack sci-fi movies. The line-up includes Chris Gorak’s Moscow-set apocalyptic fantasy, THE DARKEST HOUR, Colin Minihan’s wonderfully effective sci-fi shocker EXTRATERRESTRIAL, Scott Stewart’s compulsive alien home-invasion thriller DARK SKIES and the high velocity alien battler drama SKYLINE, directed by Greg and Colin Strause. Young entrepreneurs Sean (Emile Hirsch) and Ben (Max Minghella) find themselves stranded in Moscow, alongside fellow travellers Natalie (Olivia Thirlby) and Anne (Rachael Taylor), fighting to survive when an alien attack devastates the city. They must somehow fight back against a deadly invisible enemy that can find and disintegrate them at any moment. Still reeling from her parents' divorce, April (Brittany Allen) is dragged back to the vacation cabin she spent fond summers at as a child accompanied by a group of friends. Her trip down memory lane takes a dramatic and terrifying turn when a fireball descends from the sky and explodes in the nearby woods. The college friends soon find themselves caught in the middle of something bigger and more terrifying than they ever thought possible. The Barrett family start to experience an escalating series of disturbing phenomena occurring around their suburban home, leading them to believe that they are being targeted by an unimaginable deadly force. They soon realise that they must uncover this deadly mystery, by any means necessary, before it’s too late. The residents of Los Angeles are awakened in the dead of night by an eerie light which is hypnotically drawing people outside before they suddenly vanish into thin air. 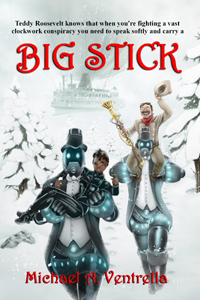 As the world unravels, a band of survivors soon discover they must fight against the onslaught of a mysterious alien horde. Who or what are these extra-terrestrials and how long before mankind succumbs to their overwhelming power? Plus, the channel also premieres Paul W.S. Anderson’s RESIDENT EVIL: RETRIBUTION, with Milla Jovovich, returning as iconic heroine Alice. John Carpenter and Joel Schumacher were big influences on Peter Stray’s script for Canaries, now being released in the US as ‘Alien Party Crashers’. I imagine you must be a real horror buff, sir – there’s some great nods in this! Thank you for noticing! Hopefully there are homages without becoming fromages. I watched a lot of John Carpenter prior to shooting, plus The Lost Boys definitely influenced the tone and look. Shooting in the Jaws locations was partly a nod and partly as I’m lucky enough to know people who live there, but we didn’t want to do anything like outright replicate shots. When did your love of the genre begin – and was it through films, books, video-games? Definitely film - I think early kid scares from Temple Of Doom, Arachnophobia and even The Goonies played a part in getting into light- hearted horror as a thrill-ride. Now I think about it, my / our generation got some content that kids nowadays would never be allowed to watch! Did you always intend to make movies? I trained as an actor but I was always fooling around with VHS video cameras and even learned to edit on the big VHS editing banks. 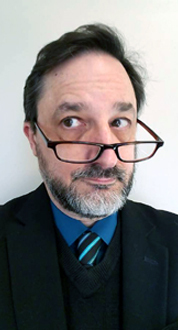 How much have the likes of George Romero and Stephen Herek influenced your own work? They’re top filmmakers - Romero can’t not influence horror. But for inspiration, I looked more to John Carpenter, Joss Whedon or Katherine Bigelow honestly! And it’s not just horror directors - a lot of my character banter is inspired by writer directors like Hal Hartley - I recently showed him the film and he loved it! How would you describe this movie? It’s definitely got the funnest ‘plot’ of a recent horror-sci-fi movie! Could you imagine doing the movie without today’s effects? I imagine there’s been some real perks having a GAME OF THRONES star do the movie? What kind of doors did it open? Pub doors! - Seriously Robert Pugh is a legend. He was very generous with his time and has come to several screenings. And let’s not forget Kai Owen from Torchwood. 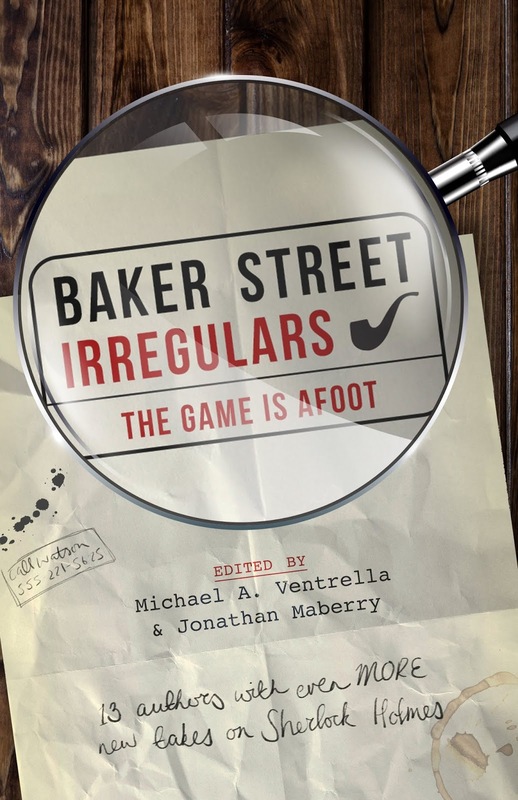 All the cast in this are great and whether you know them or not, hopefully you will soon. Oh yes. Double yes. I’m interested in investors and we are talking to several people about this. I love these characters and will continue this in any format - including me drawing a “graphic novel” in crayon. 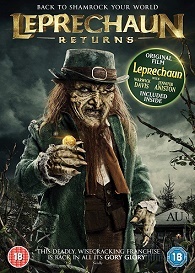 Leprechaun + Leprechaun Returns are released on DVD 1st April in a double pack. And to celebrate we have a great competition for you and 2 copies on DVD to give away. Horror’s smallest terror is back to reclaim the treasure that’s been lost for 25 years in LEPRECHAUN RETURNS. 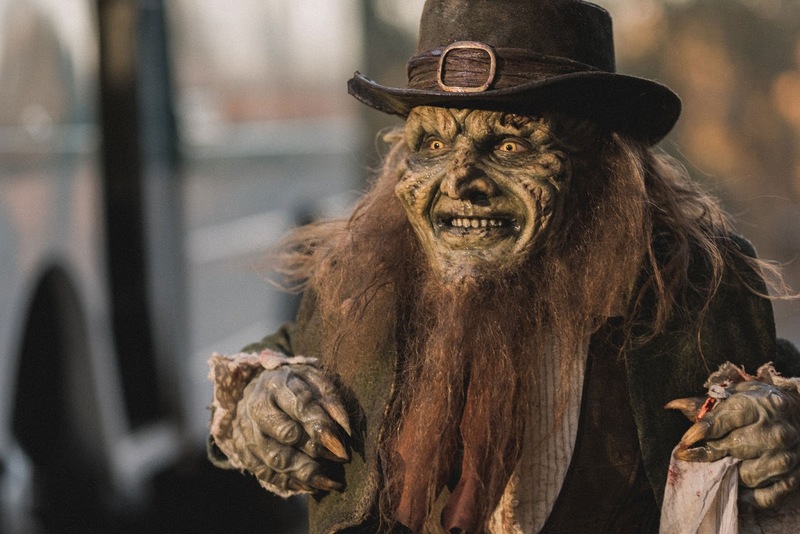 With Mark Holton reprising his role from the cult-classic LEPRECHAUN (1993), this deadly, wisecracking franchise is back in all its gory glory and now available in a new double DVD pack with the original movie LEPRECHAUN from 1st April. This brand new outing from the classic franchise will be available on DVD in a new double pack with the original movie LEPRECHAUN. Go back to where it all began… J.D. Beding and her daughter Tory (Jennifer Aniston) take a break at a summer house which is unfortunately located on the site of an evil leprechaun's stolen gold - and the leprechaun will stop at nothing to get it back! J.D., Tory and local boys Nathan, Alex and Ozzie team up to prevent the leprechaun's trail of magic and murder as he tries to drive them away from his treasure. And to celebrate we have a great competition for you and 2 copies on Blu-ray to give away. 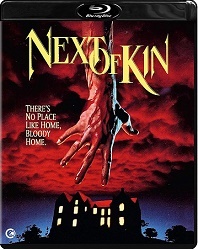 Who directs Next of Kin? When did you first become interested in writing and movie analysis? From a very young age I’ve always loved writing stories, I loved making up characters and wacky situations, when I was 8 at school I created a character called ‘Ninja Duck’ who of course was a crime fighting duck who used ninjutsu, hey it was the time of the Teenage Mutant Ninja Turtles. I first discovered I liked analyzing movies at 10, and it’s not so much I liked it but something that naturally happened to me. All the other kids at school were talking about a movie called ‘Ace Ventura Pet Detective’ and how funny it was and re-enacting scenes and saying lines from the movie and I hadn’t seen it. I wanted to join in and asked my parents to rent it for me from the video store, and this is controversial but after watching it I felt outraged, I just felt what I had seen just wasn’t funny. It was obnoxious, and I was sitting on my bed in my bed room and my brain was reviewing the movie and calculating what it was exactly about the movie I didn’t like, and why it didn’t work for me. What redeeming features it had, how good was it from a film making perspective and yes without knowing it I had written my first review, only it was in my head. Apologies to those who love Ace Ventura. How did you get interested in watching Fantasy/ Horror? I’ve always loved fantasy movies from as early as I can remember, even as a toddler I can remember watching VHS tapes of movies that my parents had taped off the TV like Ghostbusters, Goonies, Star Wars and the Indiana Jones movies. I loved them but the one tape that stood out to me from the bunch and got me completely consumed with love of fantasy and movies in general was Superman III (yes I know it’s not the most popular one of the bunch but I was a kid). I was just so intrigued by the idea that Superman can be two people and how he can go from Clark Kent to Superman and be the same guy but so completely different, looking at it from the perspective of an adult it’s a credit to the talents of Christopher Reeve. 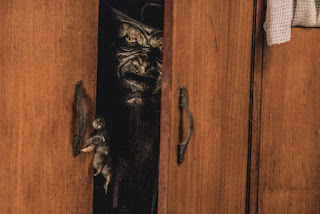 As for horror well this is more interesting, when I was about five I walked passed the living room at the family home in England and saw my eldest sister. She would have been a teenager at the time sitting on the couch all by herself watching a movie. I walked in and saw a shark fin on the TV screen, my parents ran in and carried me out and said I was not to watch the movie, it was a movie called ‘Jaws’ and children aren’t allowed to watch it or they will get in trouble. My parents then walked away thinking they had deterred me but I snuck back in the room and hid behind the couch my sister was sitting on and looked up at the TV screen. When I looked up it was the moment when ‘Jaws’ attacks the beach and the very moment I looked up was the shot of the man’s severed leg sinking to the sea bed. That right there was my introduction to horror; I had never seen anything like it before, it had the most profound effect on me. I was terrified but needed to see more, I gave a scream, my parents came back in the living room and told me that if I watch the film Jaws will come after me and eat me, and no joke for about a month I was scared of having a bath and sinks and taps in general out of fear Jaws was going to come out of them and get me, but it was that fear that was part of the joy of it all if that makes sense? 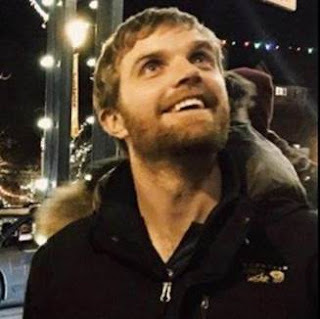 No I wouldn’t say so, it takes a lot of my time and I enjoy it greatly because I love sharing my thoughts and perspectives of movies and I love the ability to communicate with people as communicating with people in real life is something I really struggle with . So it’s nice that YouTube has allowed me that platform of communication but I have other creative ventures that also takes my time that I’m trying to get off the ground. I do lots of photography and love taking pictures of natural settings/ landscapes and city graffiti or as I call it Street Art, depending on if it’s not crap and not just a squiggle. I also make a lot of graphic design artwork, which I’ve been doing for a very long time, way before the videos, and that is also another venture I’m trying to explore. For me never having a moment when I’m not being creative or making something isn’t really an option as I feel like I always have to be doing something. How would you Classify the genre you most enjoy watching? Well the genre I enjoy the most is those crazy feel good 80’s movies which I think most people tend to like, you know movies like ‘Back to the future’, ‘Gremlins’, ‘Ghostbusters’, ‘Teen Wolf’,’ Bill and Ted’, etc. I think that in the 80’s there was a boom in fantastical movies that were outlandish, very pop (for their time) and were designed to make you feel good and happy and optimistic, and I guess this was a retaliation to the 70’s when cinema was very dark and gloomy. So that’s how I would classify the genre, it’s like pop candy, very high in sugar with hyper-activeness, very sweet, looks and tastes good and is so addictive people even now are trying to replicate the recipe. Because ever since the dawn of our existence we have loved telling stories and passing tales on to our young, from illustrations on the walls of caves from many thousands of years ago, to the creation of theater, to people sitting around the camp fire sharing tales and stories. We love to get enthralled into a landscape of make believe and tales that aren’t a reflection of our own lives but ones we can observe and psychologically live through. I think books for hundreds of years have been the main gateway to access this story telling phenomena to the stage where it’s naturally part of our day to day life routines, like car keys and bathrooms. And why horror and fantasy? Because people love getting a kick out of the unexplained, unfathomable, and terror, that’s why we go on scary rides at carnivals. I think there is something very healthy and positive about reading horror and fantasy books and am sure it will continue. What inspires you the most about movies? 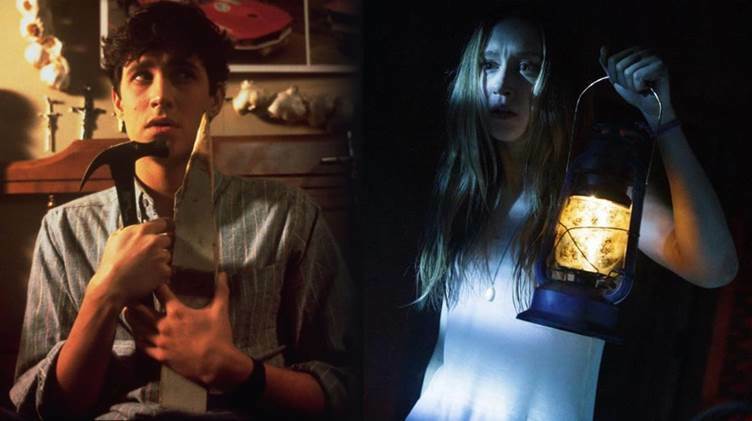 What do you think the difference between American Horror and British Horror movies are? Well to me I think English horror tends to be very old school, take the Hammer horror movies for example, they had creepy haunted castles, lightening in the background, accents raging from posh to cockney, usually set in the 1800’s. I guess this was a trend set by Dracula and other such tales that ensued but that’s just a guess. Then along came three important Americans that actually changed and modernized the horror landscape, those being Stephen King who thanks to Salem’s Lot, took the vampires out of Transylvania and put them in a modern American setting. Stanley Kubrick who took the creepy ghosts in the old haunted house full of cob webs and bones and put the ghosts in a modern hotel in his Shining movie and of course Steven Spielberg who created the modern suburban ghost story with Poltergeist. So I think with America it’s all about putting the horror in the here and now. I think even modern British horror films have an old school feel about them in terms of presentation for example ‘Caliber’ or ‘Dog Soldiers’, whereas American ones do tend to feel more polished and modern. Also I think American horror does tend to be more ground breaking and pushes boundaries after all look at Tobe Hooper’s Texas Chainsaw Massacre and Wes Cravens Nightmare on Elm Street, a new age of provoking horror which lead to the video nasty censorship in Britain in the 80's. Sadly, here in Australia we don’t really have a large selection of horror movies. I think the one that is most recognizable and the one that everyone asks me to talk about is ‘Wolf Creek’ which I think was made as a retaliation of the real life shock and fear created by what was known as ‘The Backpacker Murders’ which took place in Australia in the early 90's. Once again, that’s speculation though. My favorite horror movie of all time is Poltergeist, I saw it for the first time when I was 13, it scared the hell out of me, and there are certain things about the movie I have really come to appreciate about it more in my adult life, namely the Jerry Goldsmith score. I mentioned it in a previous video but what it is about Poltergeist is its power, for example in the scene where Carroll Anne gets pulled into the other side through her closet Goldsmiths music is so epic. It’s almost Biblical and God like, its displaying that something beyond our compression and real of understanding is happening in this otherwise mundane suburban home, that really intrigues me and creeps me out. It’s actually my dream to go to America and visit the poltergeist house and film an episode of me standing out the front of it, I don’t maybe a 10 best Haunted Houses in movies list. My other two most favorite horror movies of all time is The Shining and An American Werewolf in London. Earning my Silver Play button on YouTube. All my life I’ve never won an award or trophy or certificate or anything saying “job well done.” I struggle with certain things due to being on the autism spectrum and having certain learning disabilities, I was always told by teachers and doctors that I won’t really amount to anything and no joke at Parent teacher Interviews events at school (which is when parents meet up with teachers to talk about the child’s progress). The teachers would often flat out tell my parents I was “dumb”, hey, it as the 90’s a completely different time. So it’s nice to have this special unique thing that actually acknowledged that I’ve achieved something and done a good job. I hate to give a Hallmark Card answer but I hope that my other great accomplishment is being a good son/ brother/ uncle, special shout out to my dear sweet sister Beckie. I don’t think I’m in a position to be handing out advice as I’m only a YouTuber with 160k subs. So I’m no ‘Pewdie Pie’ but if I was, I would say you just need to engulf yourself with a ridiculous amount of determination and set out knowing you will be the best that you can be no matter how much others may put you down for it. Each time you have a setback use it as a motivation to keep going and to do better, but above all enjoy yourself, if you’re not having fun then what’s the point? Fill what you do with your own love and passion. What is your opinion on current YouTubers? Ah man I love YouTube and there are some channels that I adore, yes I do like the movie and review related ones. 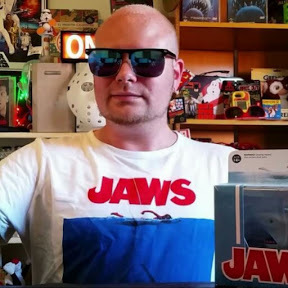 I’ve always adored The Angry Video Game Nerd, I can still remember seeing his ‘Back to the Future’ review for the first time and it changed my life and made me discover this strange world of online video reviews. I really enjoy ‘Oliver Harper's Retrospective Reviews’ and I’m glad I discovered his channel. It showed me and I think others in the YouTube video review community that movie reviews don’t have to be the comical screamy shouty sketches like you would get from the Nerd and the Critic. I really liked how he uses an almost documentary style, I every now and then chat with Harper and consider him a friend and I know he’s working on a documentary at the moment so best of luck to him. I also love videos that aren’t anything to do with movies, I love ‘Exploring with Josh’, who is this young lad with an almost Vanilla Ice hair doo who goes to abandoned places and just looks around, he’s even been to Chernobyl which is amazing. There’s an Australian channel called ‘How Ridiculous’ which is basically three very funny guys dropping things from great heights, and I love it. I think there are many wonderful and talented people on YouTube and I’m thankful the YouTube platform is there so I can see these peoples content and what they have to offer the world. Well basically just being a decent person and ready to lend a hand where I can, I plan to keep making videos, trying different kind of videos here and there and I like to keep things fresh by out of nowhere reviewing a movie no one would have ever thought I would do. Every day I get at least 30 requests of movies to look into which is really nice because it’s nice to know what I’m doing is having a positive effect on people, so please keep them requests coming. I’m thinking about starting an art show with some of my artwork and calling it ‘Expectations’ or some artsy title like that which will make me look unique and intelligent when in reality I don’t really know what I’m doing, jokes aside I just hope people will enjoy my art pieces. And I hope to continue to learn more about photography and perfect the craft of it, but I think photography is something of a side project for me, if anything more of a hobby. Minty Comedic Arts is (hopefully) a fun positive place and experience where all are welcome where lovers of pop culture can get together and celebrate movies (and pop culture in general). I like to think I have a unique take on movies and love to share my thoughts and opinions on them by unearthing information I have found out about them. In order to get more understanding about said movies so we can maybe get an inside into their creative processes, if anything explore a movies DNA, after all movies are kind of like time capsules of the time they were made in so maybe we can learn more about the world at that time in general. I like to mainly focus on movies that I feel have been over looked over the years. I want people to watch these underrated films and, to give them a fair go. I think there are movies out there that have been shrugged off as being no good as they didn’t make much money in the box office or no one understood them at the time. It could also be because they came out at the same time as bigger franchise movies, I like to get those movies (and put them on public display) and show that they do have merit. Above all I hope I make people happy. I know I just talk about Pop Culture but I know how tough the real world is. My message is a simple one, no matter how tough things get, no matter how sad your heart may feel at times, no matter those tears that roll down your face, just remember this one thing, everything will be ok, the best is still to come. And to celebrate we have a great competition for you and 3 DVDs to give away. 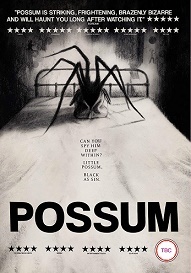 Possum is a stylish, unique, dark and twisted tale from writer/director Matthew Holness (Garth Marenghi's Darkplace, A Gun For George, The Snipist) following the story of a disgraced children's puppeteer who returns to his childhood home and is forced to confront his wicked stepfather and the secrets that have tortured him his entire life. The film features compelling performances from Sean Harris (Mission: Impossible - Fallout, Prometheus) and Alun Armstrong (Krull, The Duellists, Sleepy Hollow) and original music by the Radiophonic Workshop. Ahead of the UK premiere of THE RUSALKA at Arrow Video FrightFest Glasgow 2019, director Perry Blackwater tells us about the joys of collaboration, his love of fairy tales and finding romance in horror. Can you give us some fun facts about your background and why you wanted to direct? Our family got a little webcam when I was I think 11. It could record at about 5 frames per second, and it had a 6-foot cord from the computer so your camera setup options were pretty limited. And I just loved it so much. I made probably hundreds of minor epics in that one room. I think my most infamous was about a toy panther who defeats a trio of evil triceratops. My parents still believe it’s my best work. How did you gather together your repertory company of producers/actors Evan Dumouchel, MacLeod Andrews, and Margaret Ying Drake, the trio also involved in THEY LOOK LIKE PEOPLE as well as THE RUSALKA? We made They Look Like People with just what we could save up from our jobs, it was a very intimate operation. But we promised ourselves we would be proud of what we made, and proud of how we did it. Our team really fell in love with each other as collaborators, and it was always in my mind that I would write another movie and we would produce it together. They Look Like People was still doing the festival circuit, but we were hungry to keep making work that we cared about with people we really liked. You described THEY LOOK LIKE PEOPLE as a psycho bromance about love, friendship, and nightmares. What’s your log-line for THE RUSALKA? Oh God, did I describe it as a psycho bromance!? Haha well, I suppose that’s not a million miles off. Going off my previous template, then, The Rusalka is a supernatural romance about love, murder, and a water demon. Someone called it Let The Right One In by way of the French New Wave, which made me smile. Your choice of THE RUSALKA as your follow-up feature comes from your love of pagan European fairy tales. Can you explain some more? I grew up obsessed with myth and fairy tales, and Slavic mythology has always been especially dark and mysterious to me. 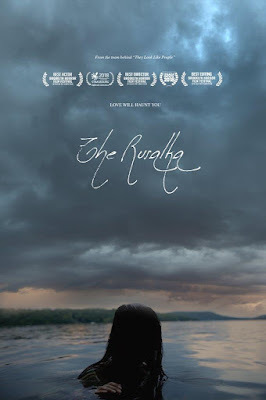 The Rusalka seemed like such a perfect character and something I hadn’t seen before in a feature film. She’s someone cursed to hurt people forever, but it’s not her fault. In fact, she’s only in this position because someone betrayed her. There are three years between the movies, what were you doing during that time, especially when you say you write very quickly? You’ve said your directing inspirations are Paul Thomas Anderson and Ingmar Bergman, both easily discernible in your work so far? I really admired PT Anderson, especially when I was in college because he would write for his actors, he was so actor-centric. It seemed like he loved to make movies with a small group of rotating collaborators, friends and good colleagues. As far as Ingmar Bergman, I am always startled by his emotional intelligence and the depth of his understanding. Through A Glass Darkly is one of my favorite films. But what really sold me on him and his process was one behind the scenes clip I saw of Winter’s Light, where there was rattling on the audio. And the footage is of the entire crew, including the actors, trying to figure it out all helping each other, all being jovial, building something together. The cast and crew were small, maybe twelve people. What a dream. THE RUSALKA couldn’t be further from THE LITTLE MERMAID fables of old, or even SPLASH – you deliberately go for the harder mythic aspects, hurting the person you love not because you have to, but because you want to? What I loved specifically about the Rusalka myth was this idea that it was similar, and yet distinct from Vampires. 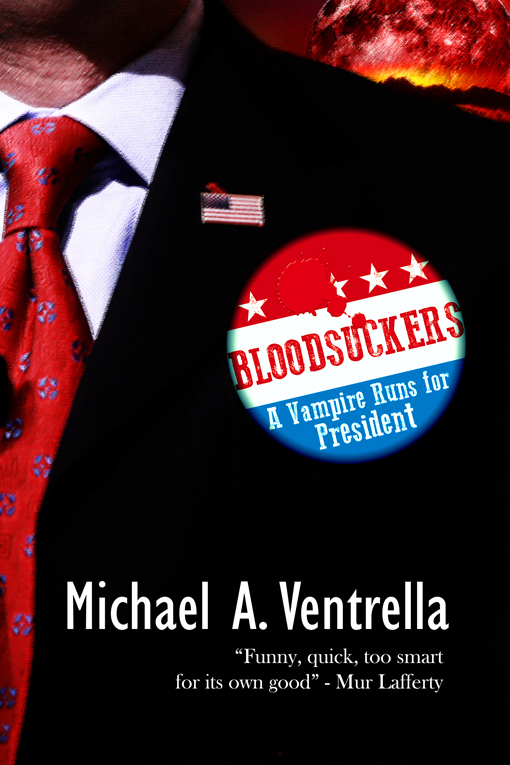 A vampire drinks your blood because if it doesn't it will die. A vampire NEEDS to kill you. A Rusalka just REALLY WANTS to kill you. So you get the opportunity to watch that struggle. She is divinely compelled. I thought, what a wonderful way to talk about love, co-dependency, addiction, obsession, it was just so rich. Can she fight who she is? If she can’t, what does that mean? Why did you make Evan’s character Tom mute? Did he find that difficult to play? In the original story of The Little Mermaid and many of the old tales that share similar DNA to The Rusalka, the mermaid/Rusalka/spirit is often mute. I wanted to reverse this, to put a new spin on a fairy tale. Evan was amazing, in the dialogue I didn’t write the hand gestures or how he would communicate, I just wrote the dialogue in and he figured it out! It’s always difficult to play characters whose lives fall outside of your own personal experience, but Evan quickly found Tom’s emotional core, and then he just knocked it out of the park. Interesting that both Evan and MacLeod play similar characters to their roles in THEY LOOK LIKE PEOPLE? It’s funny you should say that as I think they were actually quite different! For example, I would say Christian was a skinny loser who went crazy aggro and became a beefcake because of all sort of insecurities about himself and his manhood. Tom is a religious innocent who has shut himself off from life because of a childhood accident. Wyatt was a caretaker, a medic who lost his adulthood to a failed relationship while developing a mental illness, his fundamental drive is to help and protect others but his mind and history stand in his way. Al is a methodical man consumed by grief and anger, to the point where he barely knows who he is. I do think, however, that the intimacy of our sets and the fact that I write for these actors does mean that while many things shift, certain personality traits can carry over in some way. There may be more parallels than even I realize. And they certainly look pretty similar! You’ve just completed your third movie, which you say is a brother/sister supernatural tale. Any more details? Hmmm, it is very mysterious, this is true! I can confirm it is a brother-sister story, and it is supernatural. And it is the siblings against a demon, on the streets of New York at night. And it’s very dark. THE RUSALKA is showing at the Glasgow Film Theatre on Sat 2 March, 10.45am, as part of Arrow Video FrightFest Glasgow 2019. Perry Blackshear will be attending. 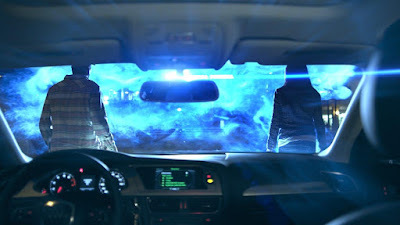 The film will be released as THE SIREN, courtesy of FrightFest Presents, on May 20, 2019. 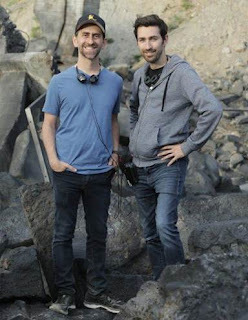 Ahead of the UK premiere of their sensational directorial feature debut FREAKS at Arrow Video FrightFest Glasgow 2019, Zach Lipovsky and Adam Stein talk about making impossible ideas believable, the challenges of fatherhood and casting Bruce Dern. This is your debut feature. How did the two of you meet and decide that this was the film you wanted to make? ZACH: We met on a reality competition show called On The Lot, which was produced by Steven Spielberg. It was basically an American Idol-type show that aired on Fox. We were competitors who had to make a new short film every week, and we became close friends and collaborators afterwards. We worked separately as directors for a few years, but kept coming back together, finding the nature of our collaboration very rewarding. We were struggling to find films that represented our taste, so we decided to write one that would show the world the kind of movie we like to make. ADAM: When we were writing, we knew that fantastical things would happen in the story, but we didn’t try to fit into the box of a particular genre. We wanted the movie to feel real, intimate... so we knew the story would capture small moments of the family relationships and go deep on the emotions. At the same time, we knew we wanted to tell the story from Chloe’s childlike perspective, so we were more focused on how she was discovering the world and how it felt to her. When things are scary for her, the movie feels more like a horror movie and when she’s full of wonder it starts to feel more like a Spielberg Amblin movie… so the mix of genres is motivated from her character journey. What personal experiences did you bring to the writing process? I’m thinking, in particular, of the strong coming-of-age narrative and the child-parent dynamic driving the film throughout. ZACH: The genesis of the story idea was inspired by watching Adam's son grow up. We got to see him observe and interpret the world for the first time. To him, impossible ideas were believable, and normal things were terrifying. We thought it'd be fascinating to capture that perspective in a genre film. ADAM: As a new dad, I often felt incompetent and unprepared. I used to worry and imagine how I could possibly do this alone, without my awesome wife. I took a lot of classes and had great mentors, and with that support network I became a better father. But we imagined Emile’s character as a father who never had the benefit of that support network. Before the start of the film, his character had been an outcast and a criminal, on the run for most of his life. So now, because of the way the world has isolated him, he’s raised Chloe with no training, not even a book about parenting. We wanted to show his primal protectionist instinct has been twisted into paranoia and a hair-trigger temper, but underneath it all he’s got deep love for her. It’s tempting to think that the film taps into the current socio-political upheaval in the US and, in particular, the paranoia of ‘outsiders’ appearing to threaten the dominant majority. Was there an intention on your part to shine a light on Trump’s America? ADAM: The social commentary in the film is inspired by discrimination and violence in our world, where the tools of government can be used to destroy the lives of people who are considered Other. We weren’t directly talking about Trump’s America but we were inspired by the cycle of the discrimination and violence against “outsiders” that has recurred around the world and throughout history. We wanted to hold up a mirror to the way hatred and tribalism can create horrible outcomes. It feels like the story has become even more relevant since we wrote it. When we were writing the movie, the idea that children would be torn away from their parents and detained by the government was science fiction, now a couple years later it’s happening in America. ZACH: We tried to make it universal rather than concentrate on one single issue. Besides the Trump immigration issues that many people see, we were inspired by family histories of hiding children with non-Jewish during the Holocaust, the history of forced relocation of Native Americans to reservations, and the epidemic of police shootings of black men in America. You call them ‘freaks’, which can be seen as a derogatory term, but they are in fact charismatic and powerful beings. Why did you choose that title? When the world is set against something, bent on its annihilation, it can overwhelm any virtues. For the universe of the story, we wanted to find a word that we could imagine becoming a common slang word -- something with a bite that could be used by both adults and children as part of the common speech of this world. After we wrote the script, we experimented with lots of alternate titles but kept coming back to this essential word. Audiences also bring their own associations to the word "Freaks," which can help throw them off when they first sit down in the theatre. The performances are all exceptional. Take us through the key casting decisions. In particular, what persuaded Bruce Dern to sign up for the ride? ZACH: Thank you. The film is all about the performances, and we were very lucky to assemble this incredible cast. 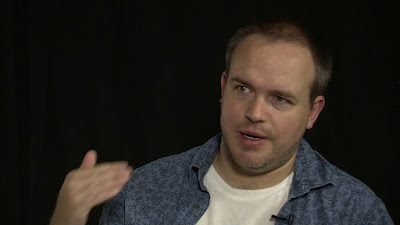 Bruce was one of the first cast members to sign on, he really connected to the father-daughter story, because of his own relationship with his daughter. He always looks for stories that have intensity and real grounded characters, and he told us he often doesn’t think science-fiction films have real voices. He hasn’t done a science fiction film since 1972 (Silent Running). 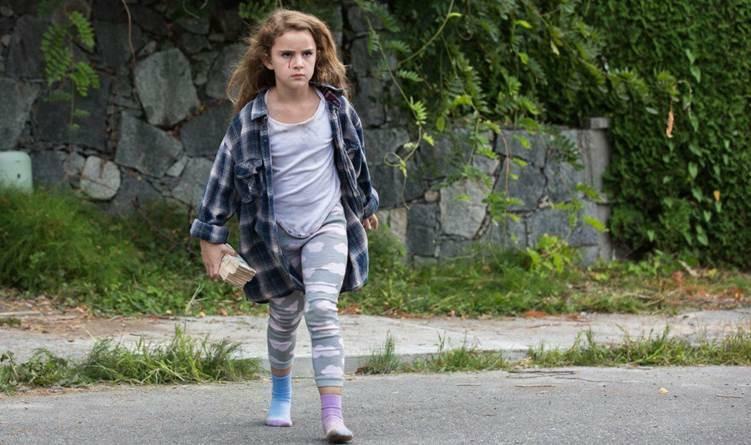 The whole film is is built around the the character of Chloe, and we knew we needed to find an incredible little girl. We built an audition process that was very different from the normal way of doing things. We did a lot of improvisation first to see if the girls could connect to real emotion from their lives, then we’d slowly push them towards the written scenes. Lexy was the only young actress we found who could both improvise and stay on track with the scene, while staying completely connected to the intensity of the subject matter. She was also the only one who could immediately snap back after “cut” and return to being a normal healthy seven year old. She was a joy to work with. The ending to the film suggests we haven’t seen the last of Chloe. Are there plans for a sequel? ADAM: We have lots of ideas for what happens next and also for other rich stories in this world. We’re currently developing some of these ideas into a TV pitch. A sequel film probably only makes sense if people buy tickets to this one… So if people like the movie, we hope they spread the word to their friends! 2018 was a great year for the genre. What have been your outstanding film choices? It WAS a great year! Love the variety of genre films that are being made, with such a range of tones. We really liked Prospect, which was an indie alien planet movie that had a great intimate style and rich world-building. Sorry To Bother You was such an incredible creative ride -- loved the unique tone and the unpredictability of what was around each corner. A Quiet Place was more traditional but still very well done. And Spiderman: Into the Spider-Verse! An explosion of wonder and visual creativity that had our jaws on the floor the entire time. ZACH: We are writing a new film, as well as finishing a film for Disney. That one is the live-action adaptation of Kim Possible, which was a very popular animated series from ten years ago. Kim Possible comes out in February / March 2019. ADAM: We hope to get the opportunity to make a lot more films like Freaks - personal stories with lots of surprises. FREAKS is showing at the Glasgow Film Theatre on Sat 2 March, 9.00pm, as part of Arrow Video FrightFest Glasgow 2019. Zach will be attending.